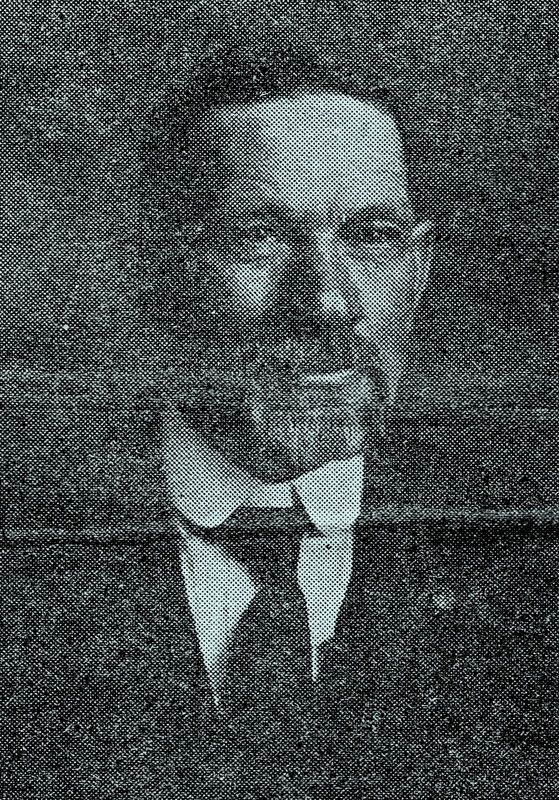 Moses A. Gamble was born on 2 August 1832 on the family farm in Blount County, Tennessee, the son of Alexander Breckenridge Gamble and Elizabeth Ransberger. He married Angeline F. Thompson (1832—1916) and had two children, Alexander B. Gamble (1860—1946) and Elizabeth L. Gamble (1863—1945). He was mustered into Company A of the 3rd Tennessee Cavalry Volunteers on 18 September 1862 for a period of three years. He served his regiment well during the war but, as luck would have it, died on 27 April 1865 near Memphis, Tennessee, lost on the steamboat Sultana as it exploded and sank into the dark Mississippi River. Please click the link below to read a brief biography. Colonel, later General, Andrew T. McReynolds is a cousin of McTeer members David McReynolds, Joseph McReynolds, John McReynolds and junior member Padraig Fitzsimons. All are descended from John McReynolds of County Tyrone, Ireland. One of our UK members, Mike Hammerson, shared a biographical sketch of his paternal third great grandfather’s niece’s husband’s cousin, who served in the Civil War – a man named Samuel Proops, a Cincinnati butcher who had emigrated from England who did duty at the end of the war guarding railroads in Georgia. 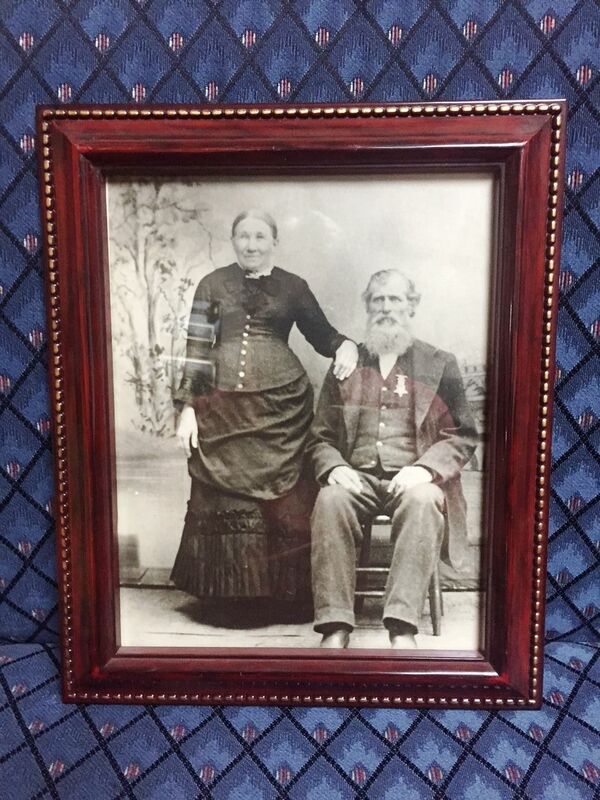 Below is a photograph of Alford M. Hacker and his second wife Nancy, ancestors of McTeer member Jay Hacker of Athens, TN. Alford Hacker served in the Union Army during the Civil War elisting in May 1862 and serving to the end of the war. He was a Private in Company H of the 5th Tennessee Infantry. He saw considerable action during the war, was wounded and even likely survived smallpox. He is recognized as the Founder of the GAR post of McMinn County, TN. When he died on 11 June 1937, he was the last surviving member of his GAR post. He and his wife are buried at Cedar Grove Cemetery in Athens, TN. There are two “collateral” ancestors for David McReynolds, Joseph McReynolds, John McReynolds and Junior Member Padraig Fitzsimons. 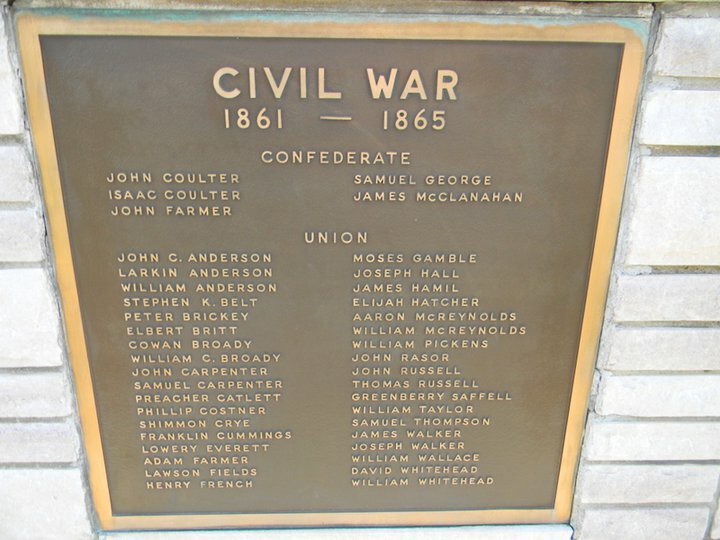 listed on the memorial at the Blount County Courthouse in Maryville, TN. The ancestor of Richard Holmes is Jeremiah Carter (Cotter) of Battery D, 2nd U.S. Artillery, Pennsylvania. General John T. Croxton and Lt. Joseph Lusk at Waterloo, AL 1865: First Lt. Joseph N.B. Lusk, a school teacher from Cleveland, Tennessee, was a Southern Unionist who fled north to enlist in the Union Army in Kentucky in May 1862. He was mustered into the First Tennessee Cavalry USA in November 1862. John T. Croxton was a Yale-educated lawyer from Paris, Kentucky. 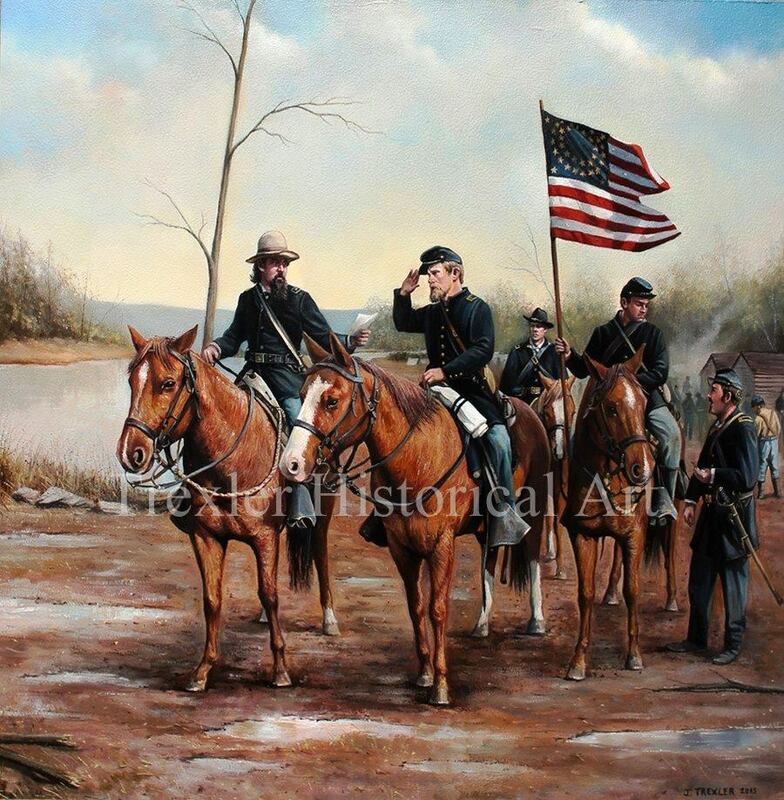 Their paths first crossed in June 1864, when Croxton assumed command of the cavalry brigade that included the First Tennessee while it took part in the Atlanta Campaign. In September 1864, Lusk was detached to serve in the headquarters of Croxton’s First Brigade, First Division of the Cavalry Corps, Military Division of the Mississippi, headed by Gen. James Wilson. While in winter camp at Waterloo, Alabama, Lusk became ADC to Gen. Croxton and accompanied him throughout the Alabama campaign. After muster-out in July 1865, Lusk returned to teaching, farming and inventing in his hometown and died on the final day of 1907. Croxton would later serve as U.S. Ambassador to Bolivia, where he died in 1874.